Sheriff Kent Keen of the Barren County Kentucky Sheriff Department sadly reports that Deputy Sheriff Ernest T. Franklin, 58, died in a single vehicle crash. Deputy Franklin was traveling east on Ky-90 just north of the intersection of Flint Knob Road, west of Glasgow when the Ford Escape patrol vehicle he was driving left the roadway. The patrol unit struck an embankment and a tree stump before coming to a rest in a small pond. Witnesses to the crash state that the patrol vehicle appeared to be “driverless” as it left the roadway. 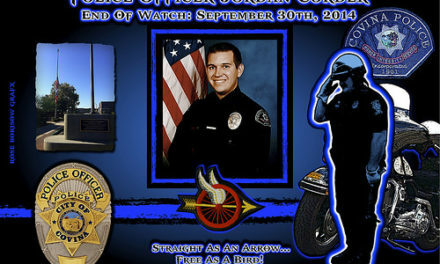 Deputy Franklin appeared to be slumped over toward the passenger seat. The witnesses found Deputy Franklin unconscious and unresponsive but still breathing. They called 911 for assistance. First Responders from Glasgow and Cave Fire Departments found Deputy Franklin still slumped over inside the patrol vehicle and extricated him to render first aid. They started CPR and other life saving measures however they were unsuccessful in reviving him. 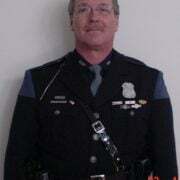 It is suspected that Deputy Franklin suffered a medical emergency while driving. An autopsy is scheduled for Thursday. The Kentucky State Police are investigating the crash. 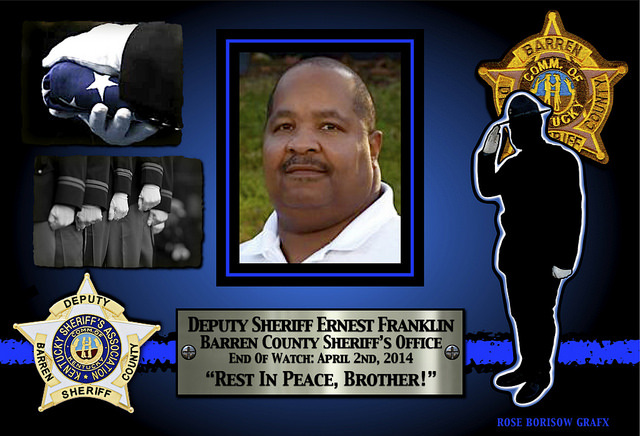 Deputy Franklin was a civil process server with the Sheriff Department.